Are you living with dementia or do you know someone who is? 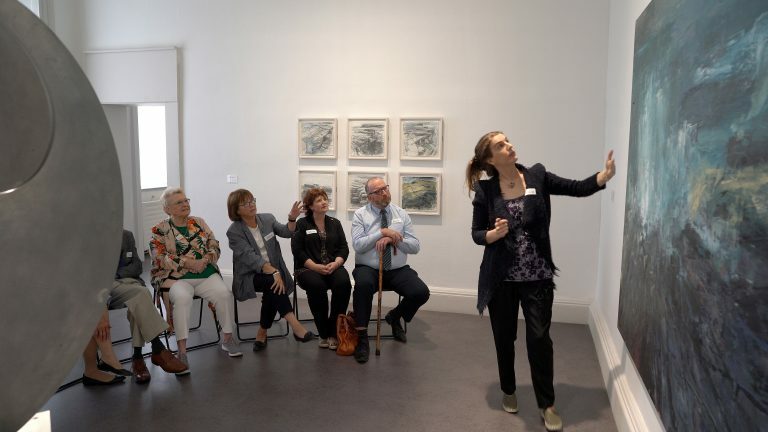 IMMA is one of the lead partners of a programme called ‘Azure’ which aims to make art galleries and museums around Ireland dementia-friendly spaces. 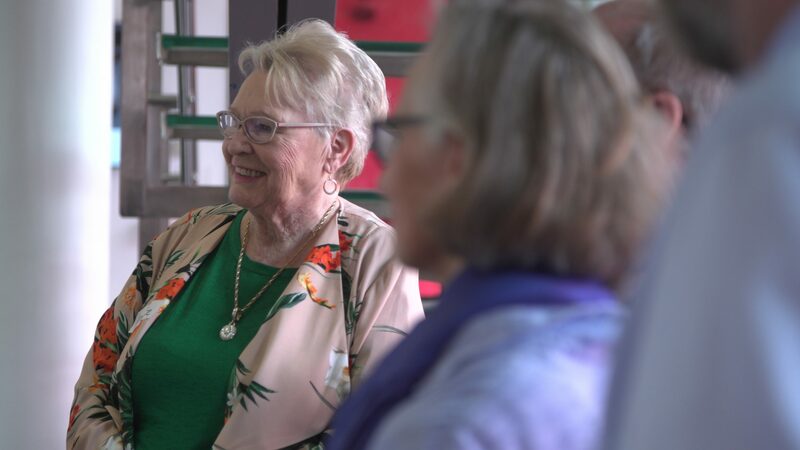 Azure explores how people with dementia-related conditions such as Alzheimer’s, and the people who care for them, can have a deeper involvement in cultural institutions and can participate in cultural activities. 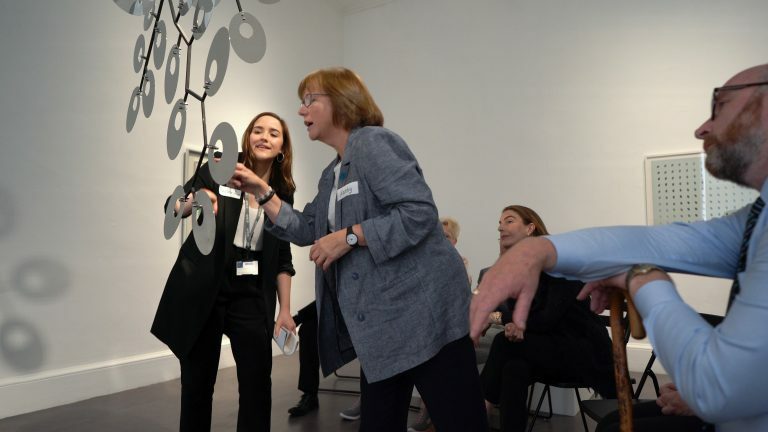 We offer monthly guided Azure Tours specifically designed to support people living with dementia and their family, friends or professional carers, to engage with our exhibitions and enjoy a social museum experience. All tours are free of charge, led by specially trained guides, and followed by complimentary refreshments. Find out more what to expect from Azure Tours and how to book below. You can also read more about the Art and Aging Fellowship project. We also offer Azure tours to Dementia Care facilities or Dementia Support Organisations who wish to bring groups to visit IMMA. 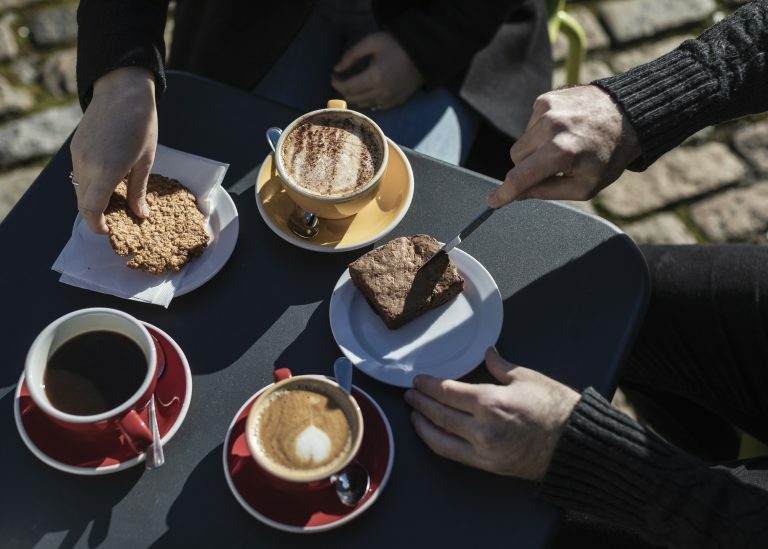 Such tours can be specially arranged by contacting Caroline or Alice via email to edcommbooking@imma.ie or telephone to 01 612 9955.